When heading off on holiday as a beauty blogger trying to streamline ones skincare can be something of a challenge. Whilst I have evenings at home when I reach for nothing more than micellar water or, shock horror a face wipe (yes it happens) I'm not prepared to go armed with only those tools when I travel. I also find that on holiday often with a sumptious bathroom to enjoy I pay more attention to my skin than ever. It looks like it paid off the past week as the girls I holidayed with all commented on how good my skin looked during the time we were away. Here's a peek into what made it into my made it to Dubai with me. We all know by now how much I love the Garnier Micellar Water and the cute travel size appeared in my recent holiday essentials haul. I like to use this as a first cleanse, particularly using it remove eye make up as I hate nothing more than seeing my mascara on a flannel. It was perfect to freshen up in the mornings, again particularly in the eye area, if I was rushing down to breakfast before going through my normal morning regime. 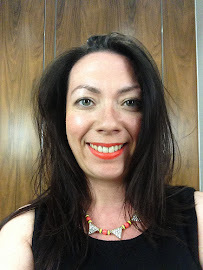 I also took along the Garnier Micellar Wipes for particularly lazy days but as expected I used them more for freshening up rather than as part of a routine. I used to use Philosophy's Purity Cleanser years ago after watching a QVC demo. Seeing it melt away make up impressed me way before I knew anything significant about skincare and it's benefits. I'd picked up this 90ml size from Sephora last year and it had been sitting waiting for the perfect travel opportunity, Dubai being it. I really enjoyed using this cleanser. All make up literally disappeared from my face when I used it. It's sold as an 'all in one' product and whilst I wouldn't use as just one step it certainly goes someway to tick all the boxes as skin was left hydrated after use with no dryness at all. The Balance Me Pure Skin Face Wash was a freebie with a magazine a few months back and the ideal product for my morning cleanse. Unfortunately whilst the product itself was fautless I wasn't a fan of the scent. It was too musky for me and didn't make for a pleasant experience. The results, brightening and illuminating from moringa and rice bran oils were certainly evident and as such I will happily continue to use it up. Bloggers and YouTubers have raved about the First Aid Beauty Facial Radiance Pads for months and after picking these up last year I finally got around to using them on my holiday. And I loved them. Having used what I suspect was a long expired bottle of Pixi Glow Tonic my return to acid toning was welcomed. I felt the tingle and loved the tingle. I do like to use a product that I can 'feel' working. Finally I understood the raves about acid toning, a step I did 'because' rather than understood. I'll certainly be using this and repurchasing when the time comes. A handy size of Soveral's Floral Rain Hydrating Facial Mist sounded just the thing for my travels and the perfect second step in my toning stage. Unfortunately this was a product I didn't enjoy due to the scent. As it's name would suggest it was very floral - time to state the obvious clearly. Orange blossom and my dreaded red roses were not not for me. Scent aside as a hydrating mist this was pleasant and I'm currently trying to finish the final couple of squirts before reusing the bottle for my next trip in June! This should be named the eye cream that never ends. I feel like that I've been using this tube forever and had hoped that it would empty during my trip but alas it has returned home from me. StriVectin is a brand that looks quite clinical in its packaging and fits their claim of 'Bold science. No nonsense results. That’s smart beauty for smart women. That’s StriVectin'. StriVectin SD Eye Concentrate is an award winning eye cream that targets under eye wrinkles and cross feet which I would state are my only real concerns as I have cross over to the wrong side of 30. I can simply say that despite my 'age' I think I'm tackling the eye area particularly well and I must give thanks to StriVectin for that. I probably would have actually forgone a serum whilst away if it had not been for this itty bitty sample size I'd received with my Tatler Magazine subscription. Even handier is I have the full size of this serum so will be able to fill up for my trip to Ibiza next month. This is a pricey serum, very much like an oil which I liked to use of an evening. Many natural ingredients encourage brightening and evening of skin tone, enhance elasticity, firm and protect against premature ageing all things I won't say no to. I stuck to apply this of an evening and happily woke with fresh skin. This was the second of two moisturisers I used on holiday, the other being The Body Shop Aloe Soothing Day Cream which will appear in my Holiday Empties post on Monday. The L'Occitane Angelica Hydra Vital Cream was my least favourite. It was a funny texture, more balm than cream and felt a bit strange to apply. Again as a disclaimer I must state this has possibly been hanging around longer than it should have. That said it was odd but not unpleasant just not the usual moisturiser I am used to. As mentioned I'm heading off on another holiday in three weeks time so I'm looking forward to putting together another stash of skincare for that trip based on my loves and likes of this one. 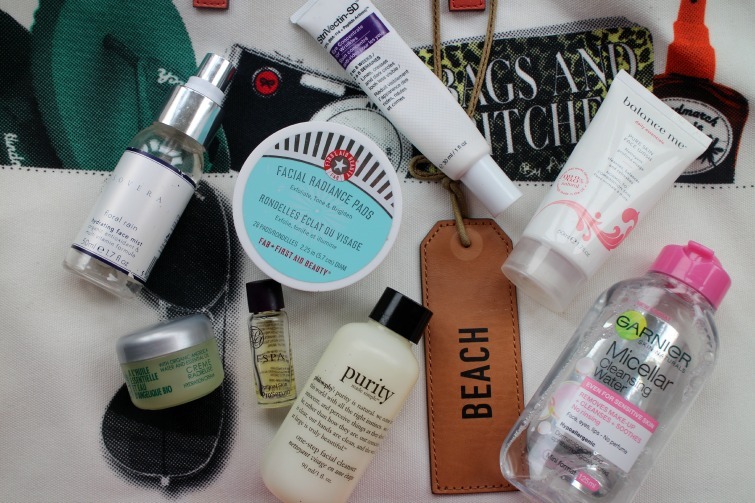 What skincare do you pack for your holidays? I love nosing through other people's beauty products! Got a q for you lady, do you use or have you used the Clarisonic (or similar). I'm really wanting one, my skin is poo, spotty, blotchy, dry, greasy, every problem a person could have .. right here on my boat race. Good skin days are rare. At my age I thought I'd just have grey hair & wrinkles to deal with, but nope, the whole teenage nightmare continues. So, if you do use one. Let me know what you think of it , and if it's good or just a gimmick. They are so pricey, I don't want to waste my loot! You'd have a field day at mine rummaging then! I started using the FAB pads too a few months back and they really gives me fresh skin. Since using them, I don't skip that often my toning step. Seche Vite Topcoat - Am I fan?